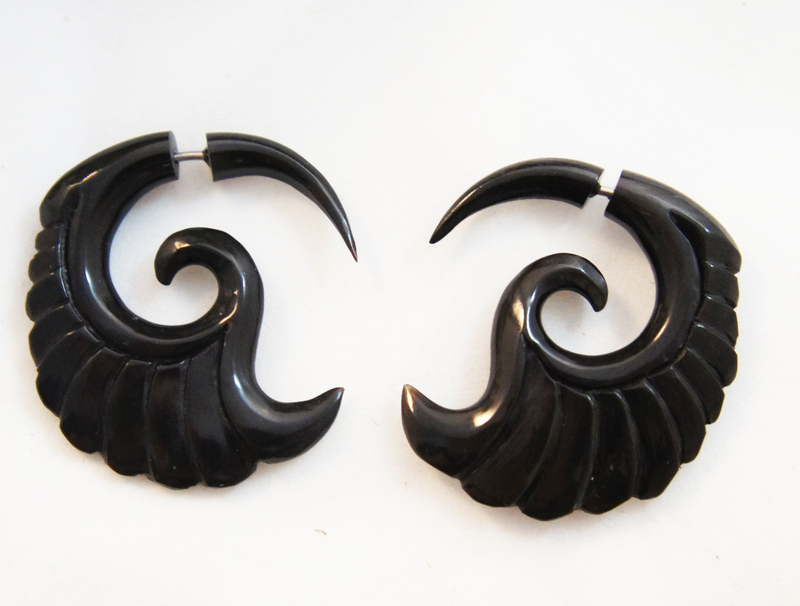 The beautiful yet simple design of these black Buffalo horn illusion plugs are sure to impress. 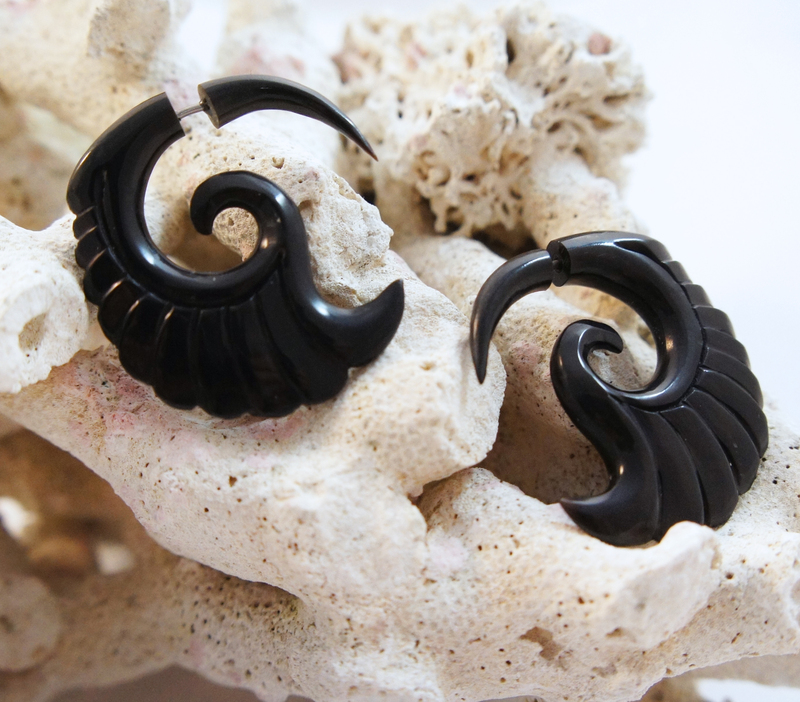 The subtle spiral helps to create a stylistic wing look. 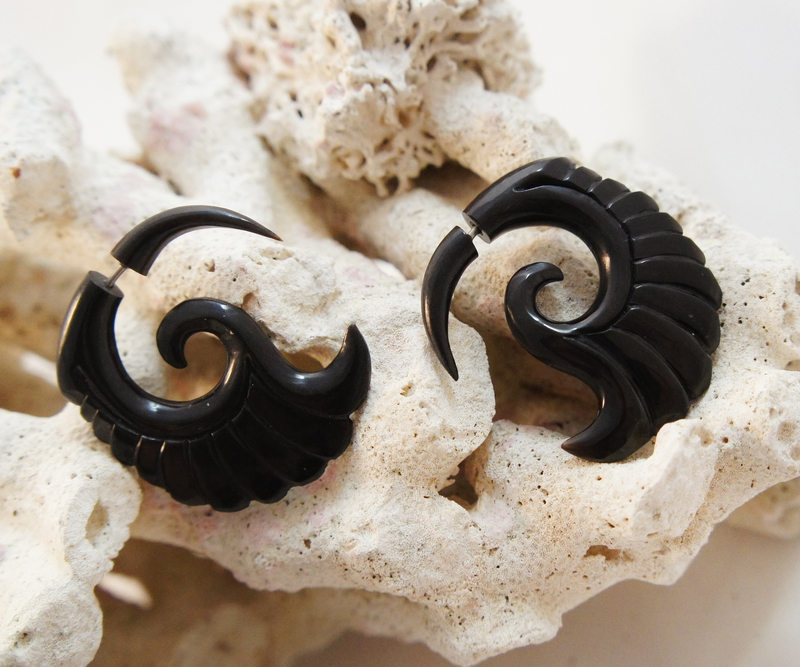 We have created "illusion" earrings of some of our most popular gauge earring styles! These earrings are 20G (0.8mm) or fit standard pierced ears, but look like they are 2G (6-7mm).